Flora satin butterfly pull bows are a unique bow option that is gaining popularity for the storage-saving and easy to use features. 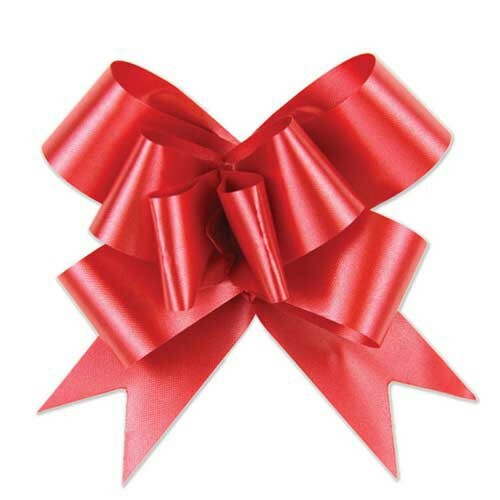 These bows are shipped as flat ribbon bundles that are then assembled by simply pulling the inner ribbons to create a butterfly shaped bow. The assembly is easy and only takes seconds to complete. 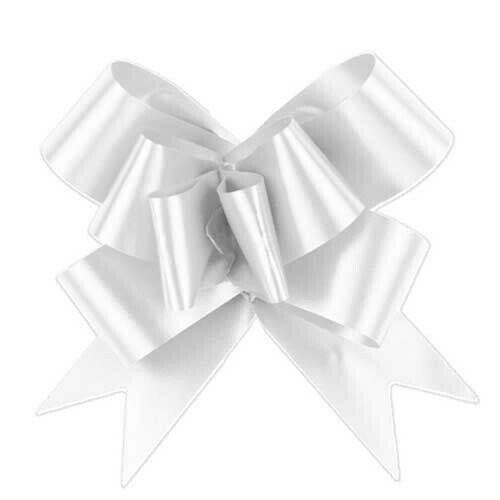 These butterfly shaped bows are available in three popular satin-finish colors. These bows are a wonderful option for retailers who are low on storage space but need a unique packaging presentation.